NUFC cult hero lined up to land 1 of 3 new roles at the club – Report – NUFC blog – Newcastle United blog – NUFC Fixtures, News and Forum. According to the Chronicle, Shola Ameobi is now ‘under consideration’ to land a new role at Newcastle United’s Academy. This comes after news that the club are looking to undergo an overhaul of the Academy this summer, and it seems the Mackem Slayer is ‘one of the names being looked at’. Shola Ameobi is believed to be under consideration for a new role at Newcastle United’s Academy. The former striker has worked with the club’s youth teams before and is a big part of United’s Foundation, but he is one of the names being looked at as Newcastle look to revamp their Academy. Three new roles will come into play from pre-season with a loan coordinator , Under-23 boss and assistant Academy coach for a range of younger age groups. Current Under-23 coach Ben Dawson is expected to step up to a more technical role as head of coaches with Under-18 manager Dave Watson set to leave at the end of the season for pastures new. 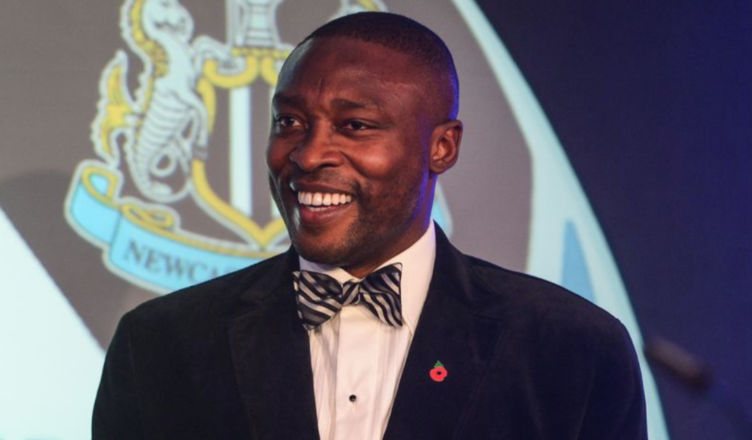 As mentioned above, Shola has played a big part in the Newcastle Foundation and has worked with our youth teams in the past, with this combined with his 14-year stint at St James’ Park as a player giving him a real connection with the club. Whether he’s the man for the job may be another matter, however. Some slated a recent appearance of his on Sky where he appeared to be a Mike Ashley apologist and as a player he often split opinion with 79 goals in just shy of 400 appearances, however he has been a true servant to the club and does command respect, having plenty experience both on and off the field. Hopefully these Academy plans are a strong sign the Benitez is being listened to, with changes at youth level said to be one of the key things on his agenda ahead of contract talks. A born and raised gallowgate lad. Won points on his own on occasions. The Makem Slayer and the worst MTV cribs in history.